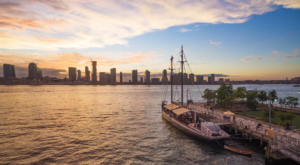 No matter what season, the state of New York is considered to be one of the best destinations in the Northeast when it comes to finding scenic drives. 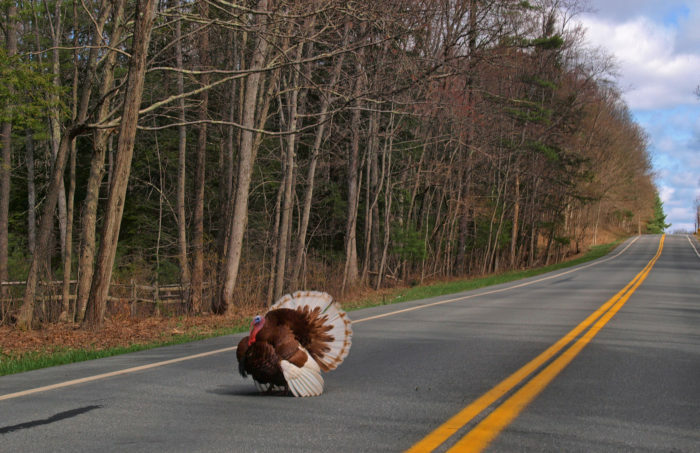 With amazing mountain ranges, rolling green hills, farmland, and so many waterfront views, it’s hard not to feel like every road in our state is a scenic one! 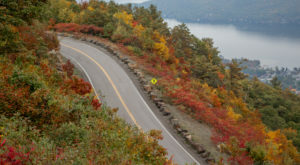 But if you’re looking to take a unique drive that also provides a bit of a thrill, it’s time to check out Route 97. 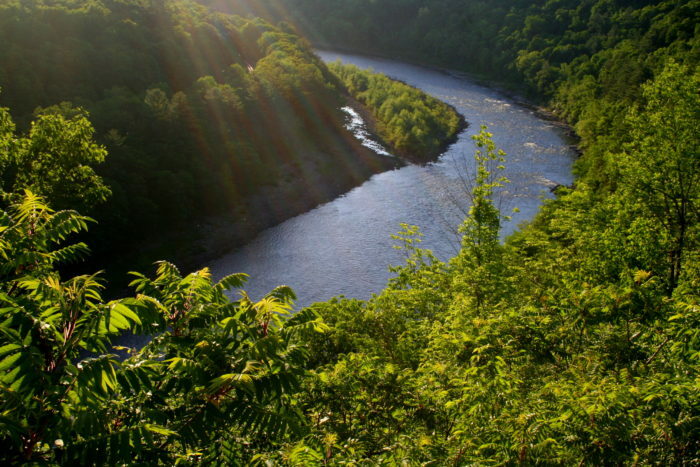 Following the Delaware River and our state border, the Upper Delaware Scenic Byway is one drive that you'll have a hard time forgetting. 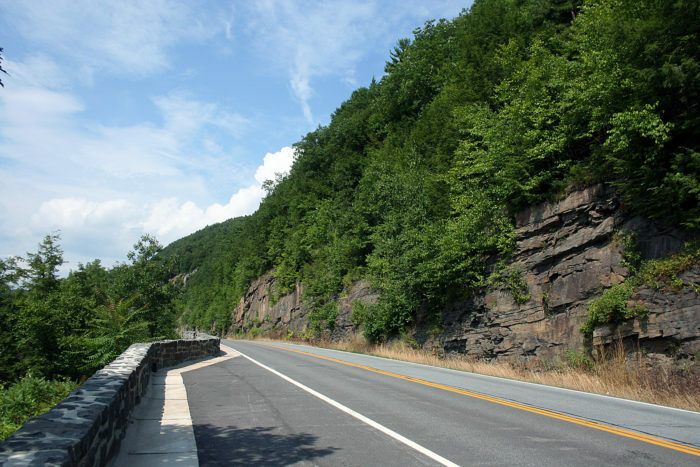 Stretching from the town of Hancock down to the city of Port Jervis, the scenic byway spans across 70-miles of New York. 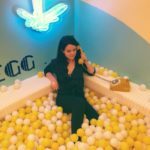 Generally taking an hour and a half to drive across, scenic Route 97 will take you through Delaware, Sullivan and Orange Counties. 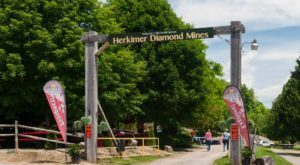 This scenic byway is one that's known for being one of the most amazing in the Northeast, filled with opportunities to spot wildlife and stop in many of New York's historical downstate towns. 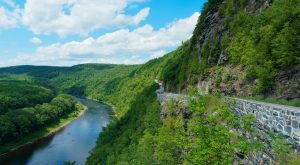 Closely following the Delaware River and taking you along the tops of cliffs, there's one particular stretch of this scenic drive that can be quite hair-raising. 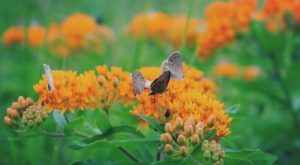 While this historic byway once started off as a one-lane dirt road back in 1859, it has now been transformed into something so much more. 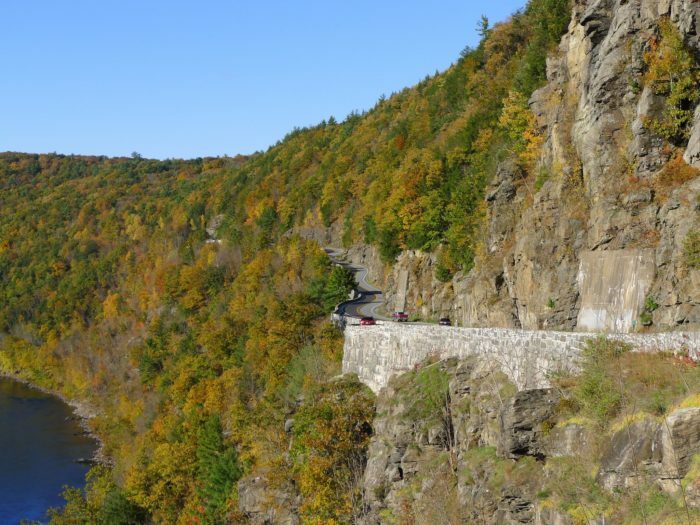 Known as the Hawk's Nest, the tight stretch of Route 97 is one that's either considered amazingly thrilling or totally terrifying. 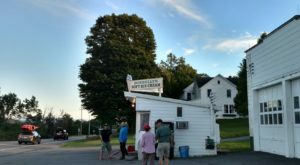 Full of curves and little to no shoulder in the town of Deerpark, the Hawk's Nest is frequently compared to having a snake-like resemblance. 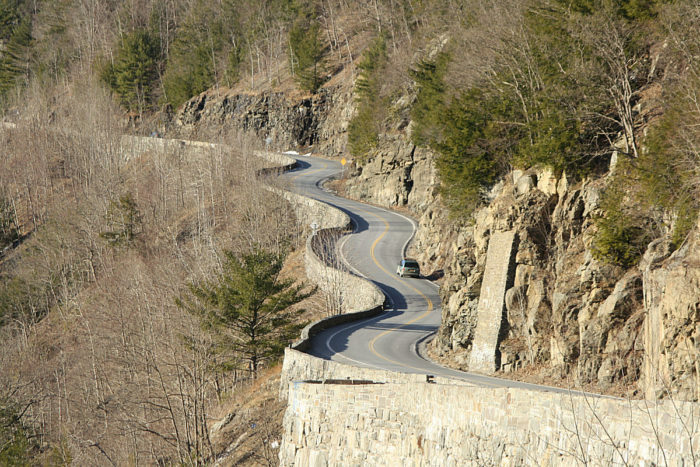 The most photographed part of Route 97, the Hawk's Nest does have several pull-off areas where you can stop to snap your own shot of this intense yet stunning scenic drive. 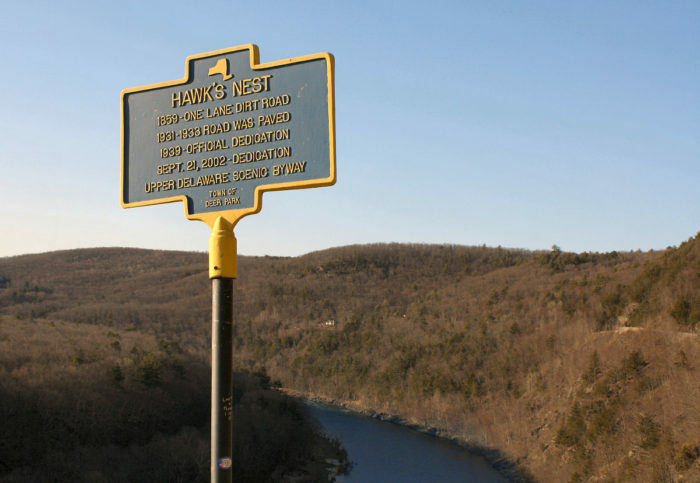 So, are you brave enough to go for a drive down the Hawk's Nest in New York? 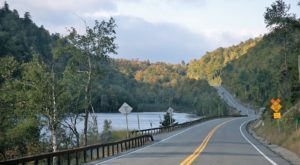 Like many of the scenic byways that you'll find downstate and in the Catskills Region, the Upper Delaware Scenic Byway is full of hundreds of twists of and turns. 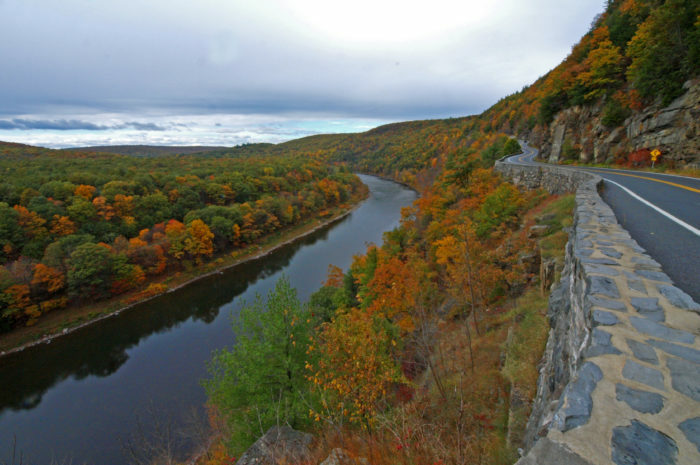 Giving you a view of the Delaware River, the gorgeous valley and amazing cliffsides, as hard as it may be you won't want to take your eyes off the road for this drive! 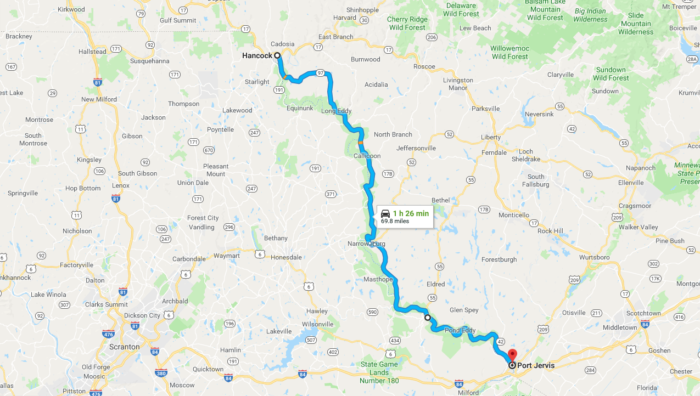 If you're interested in driving along this byway's most intense stretch, you can find the Hawk's Nest at the southern end of Route 97 before you reach Port Jervis. 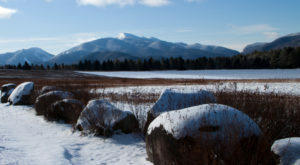 To find out more information about the Upper Delaware Scenic Byway, click here. To get a bird’s eye view of all the curves of Route 97, check out this amazing drone footaged captured by 570 DRONE via Youtube below. 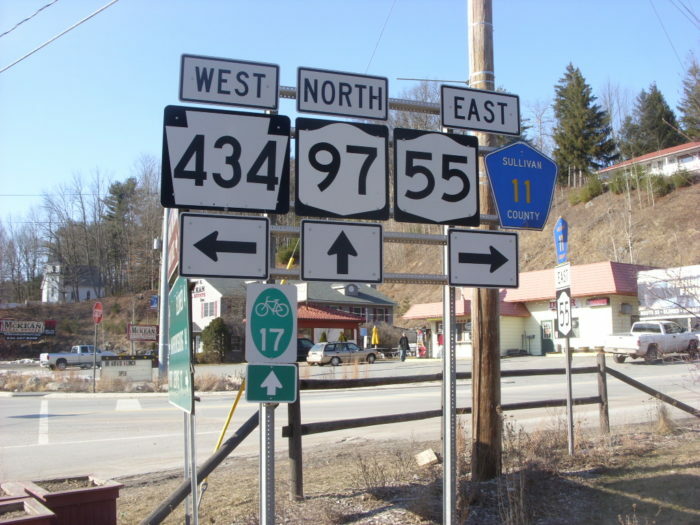 Have you ever gone for a drive down Route 97? 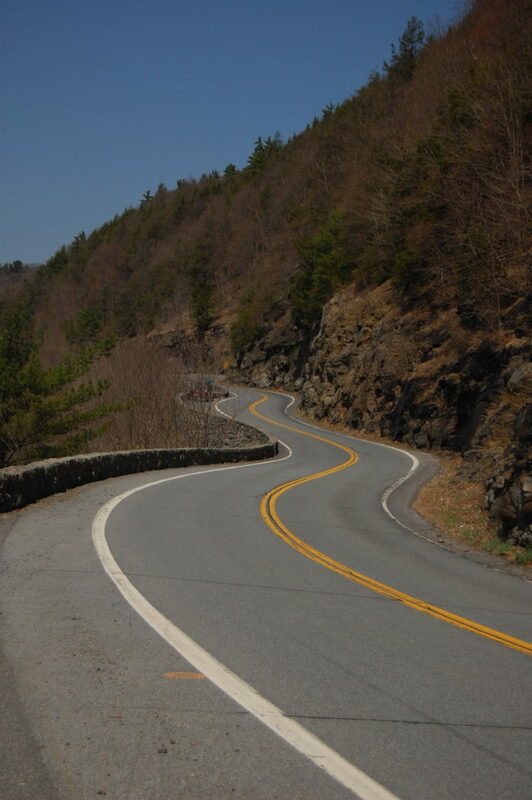 This isn’t the only winding road that will give you chills – Don’t Drive Down 13 Curves In New York Or You May Regret It!